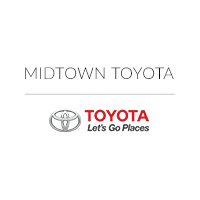 When it is time to buy a new car at Midtown Toyota, each customer has his or her own set of priorities. When we get a new customer at our Toyota dealership near Des Plaines who is looking for an environmentally friendly car, we are so proud to be able to still offer them the many options they deserve to have. We have a good number of hybrid models on our lot, and in fact, one of our most popular sedans is also available as a hybrid vehicle. The 2016 Toyota Camry Hybrid gives customers the options and features that you want. The first things customers wonder about with the Camry Hybrid would be the item that sets it apart from other sedans: the engine. It is powered by a combined 2.5-ltier four-cylinder engine and an electric motor and battery pack. This combination puts out 200 hp and is paired with a continuously variable transmission and front-wheel drive. The features will depend on which of the three trim levels you choose. The LE starts out with items like keyless ignition and entry, a 6.1-inch touchscreen with Toyota Entune technology interface, Siri Eyes Free and Bluetooth phone and audio connectivity. When you move over to the sporty SE, you add on 17-inch alloy wheels, a sport-tuned suspension, sport fabric seats, and a leather-wrapped steering wheel. For the top-of-the-line XLE, it adds LED running lights, Entune Audio Plus, leather upholstery, heated front seats, satellite and HD radio, and a four-way power passenger seat to the features on the LE. Safety is still a top priority for this hybrid model. Along with a set of standard safety features such as a rearview camera, you can also get a blind-spot monitoring system with rear cross-traffic alert, a lane-departure warning system and a frontal collision warning system on the XLE trim level. All of these features helped the Camry Hybrid to earn a top five-star rating for overall safety in government crash tests, as well as four stars for total frontal-impact protection. The car also got five stars for total side-impact protection. In addition, the Insurance Institute for Highway Safety also gave the standard Camry its top score of “Good” for moderate-overlap, small-overlap frontal offset, side-impact, roof strength, and head restraint tests. We know our customers will feel secure in a car that has received all those accolades for safety. To get started on your journey to purchase a new car, we invite you to head over to our Chicago Toyota dealership. Our team is ready to show off all of these features and more when you come in for a test drive. We want to make sure you find the exact model that would suit you best, so we would be happy to answer any questions and show off the other hybrid options we have here on our lot. No matter which new Toyota car you decide to go with, you can’t go wrong on our lot.